Oh, hello. I was just sitting here trying to solve all of life's greatest dilemmas. You know, trying to decide which Hemsworth brother is the one for me, picking the perfect shade of coral to paint my nails, finding out how to bring about world peace... no big deal. But speaking of nails, the other day at church, Boots asked me if mine were real. They weren't even painted or anything, much less cleaned or evened out. During church my hands always become parts of a spaceship or something when I sit by Boots. A seatbelt that unhooks when he twists my ring, a set of guns to shoot down tie-fighters, you know. Cool stuff. It's amazing how interesting hands can be when you don't have any nerf swords or orange capped machine guns. Anywho, he just stopped mid-battle and was like, "Yammie, is this nail real? It's so long... and perfect." So, more important stuff. Strawberry shortcake. Say hello to this vanilla cream scone. I used heavy cream instead of sour cream this time (because we didn't have any. heh) and also used a vanilla bean instead of vanilla extract (because we didn't have any. heh). They turned out pretty awesome. 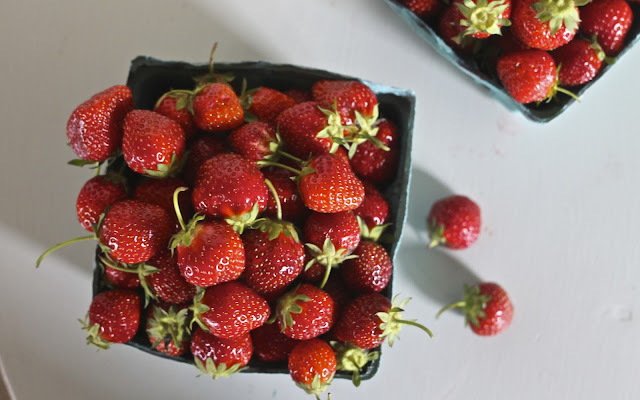 I like them just a littttttttle bit on the dry side because then they soak up the strawberries better. Normally I hate anything dry, but once you put it all together, it's like magic. Plus making a drier dough makes it so you can cut them with a biscuit cutter instead of scooping them which I think is purty. Oh, and the whipped cream also has a vanilla bean. That was a good move on my part, I must say. 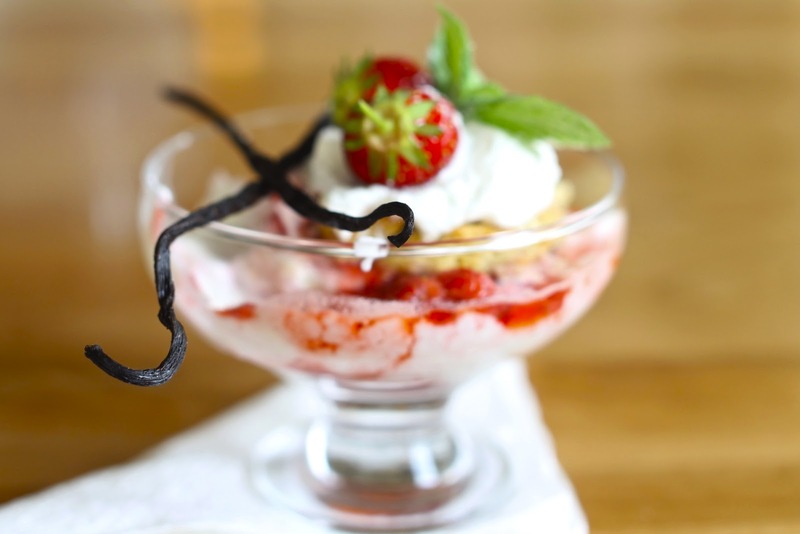 You should really stock up on vanilla beans today. I think Beanilla is probably the cheapest place to do that. P.S. A scoop of ice cream in the middle wouldn't be the wrong thing to do. Preheat oven to 400º. Mix together the flour, sugar, baking powder, and salt. Cut in the butter with a pastry blender. Mix together the cream, egg, and vanilla and then mix into the flour mixture with a fork, just until combined. Kneed a little bit with your hands and then flatten it out into about an inch thick. Cut with a biscuit cutter. 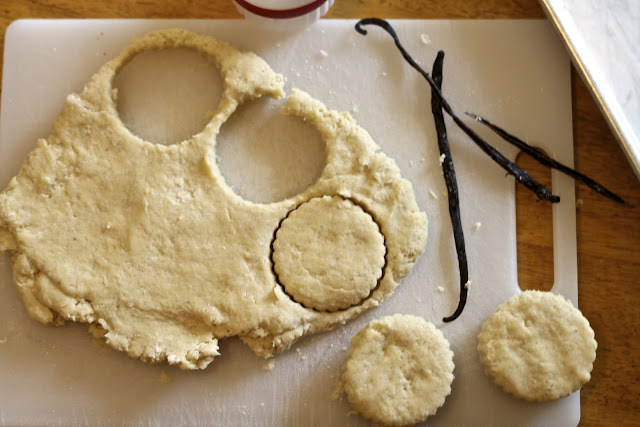 Don't twist the biscuit cutter because that seals off the edges so they can't rise as well. You could also cut them into squares or triangles with a sharp knife if you want. Place them on a lightly greased baking sheet and brush the tops with a little more cream. Then you can sprinkle them with sugar, but I forgot that I wanted to do that so I ended up brushing them with butter when they came out of the oven and then sprinkling them with sugar then. So, get some sugar on either way, before or after baking. Bake for about 9-13 minutes or until you deem them to be done to your satisfaction. About a quart of fresh strawberries, cleaned with stems removed. 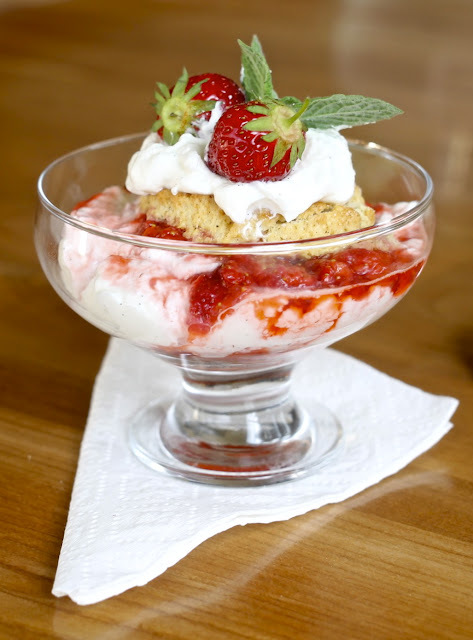 Mash up the strawberries with a potato masher. Add sugar, adding more until it's as sweet as you like it. Beat the cream in a chilled bowl until slightly thickened. Add the sugar and vanilla and beat until peaks form. 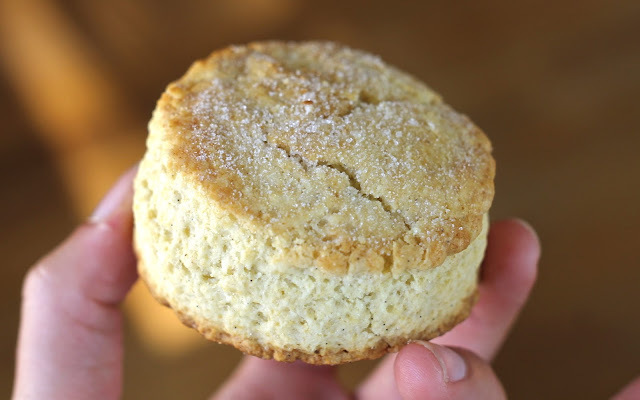 Split the biscuit in half and put the bottom in a dish. 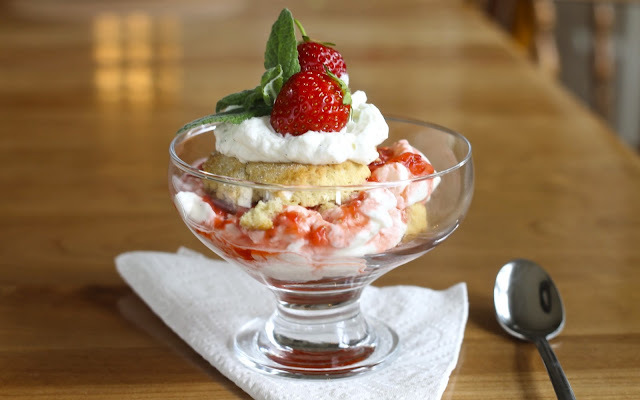 Top with whipped cream and strawberries. Add the top of the biscuit. 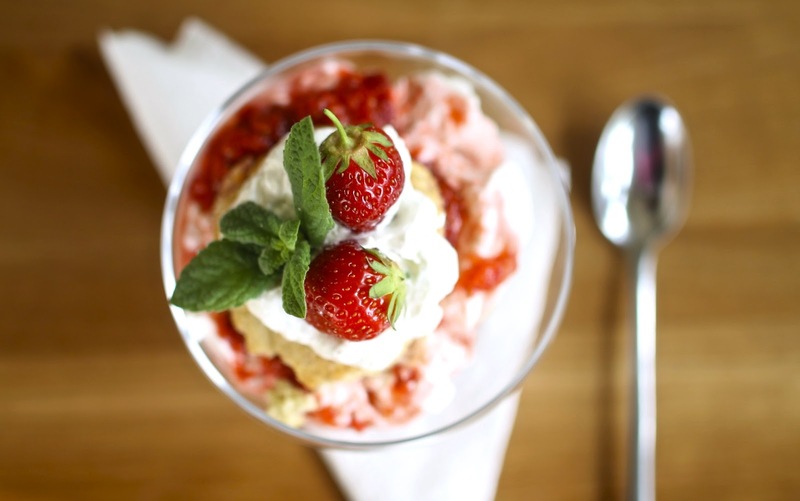 Garnish with a dollop of whipped cream, some fresh strawberries, and a sprig of mint. Follow on Facebook, Twitter, and Pinterest and check out my Etsy shop if you're bored. Bye.